Oh yes it's the best! This highlighter looks so beautiful! Applying highlighter is my favorite part of makeup.. I'd love to see you swatch this. I'll have to look into this one. Always looking for a good highlighter! Thanks for sharing. Well it's good you found a product that you fell in love with! I've only recently finally got myself to a counter to swatch this in Person as there is no Becca stand near where I live. It's on my wishlist now, I'm currently trying to finish up Mary Loumanizer from the Balm and plan to buy this as a reward when I finally finish it! OMG yes babe get it! I have champagne pop in three different variations haha. The Jaclyn Hill Palette, the normal pan and one of the split pans. I'd have to bathe in it to go through all of it haha. Sounds like a fab recommendation and I can't wait to give it a try! 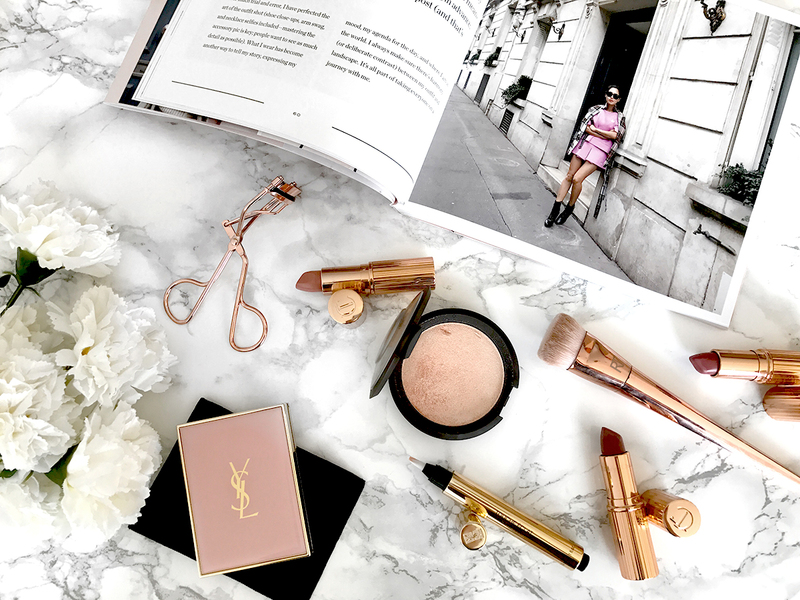 I usually go for the Chantecaille highlighter which is also a really good one! You should babe! Will give it a try! THANKS! I really never have understood the hype around soft and gentle. I mean it is nice but it feel very grainy! Especially compared to Becca! have you ever tried Maryloumanizer? That is half the price of this but very high quality like this! You are so right babe! Your blog is so gorgeous! I love the Becca highlighters, I don't have Champagne Pop but I do have the shade Opal, the texture is lovely. Oh yes Opal is also on my list! This becca highlighter is on my list of makeup products that I want to try. You so have to babe! Aw you are so sweet! Thanks so much Alice! Oh Vicki you are the sweetest! Thanks so much! I'm loving the marble backdrop in these photos, Lisa! Oh I just love marble! BECCA highlighters are absolutely gorgeous! I also love their blushes. I currently have my eyes on Flowerchild for the spring/summer. Oh I need to try their blushes! 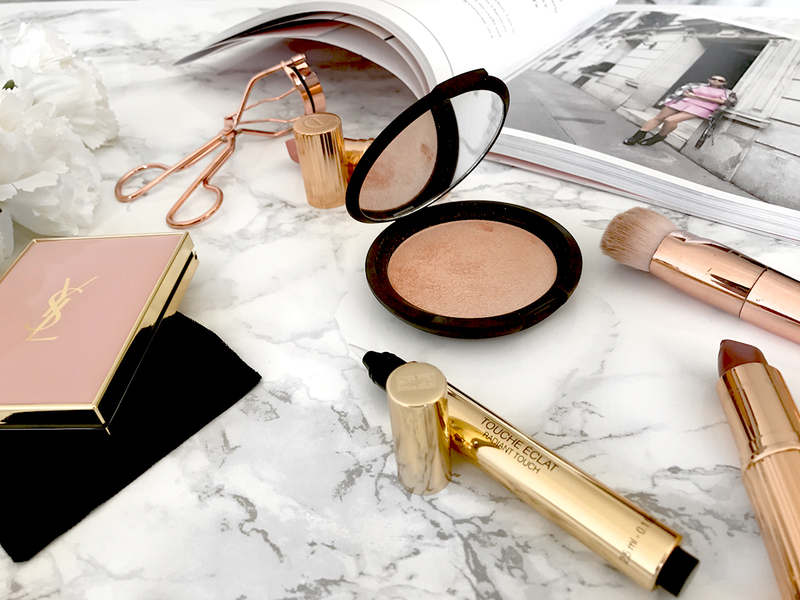 Champagne Pop really is the highlighter of dreams, we all need it in our collections! I have the Becca highlighter in Opal which is also very pretty. Opal is also on my list.. looks lovely! Haven't tried Champagne Pop, but Becca highlighters are so so beautiful! I remember trying to stay away from Champagne Pop for a really long time, but the minute I got my hands on one - damn, it is so beautiful! Even when I have my photos taken for boring stuff passport or visas, I apply it and my skin looks 100 times better lol. haha yes girl totally agree! I've honestly never heard of the Becca brand before! Really? haha I love them! I don't have champagne pop but I have the Moonstone highlighter by Becca and I absolutely love it. I think like you said texture is a huge part of why I love it so much, it's so finely milled and very different to all the other highlighters I own! Oh yes I totally agree.. the texture is AMAZING! My fave highlighter! Can't be without it!